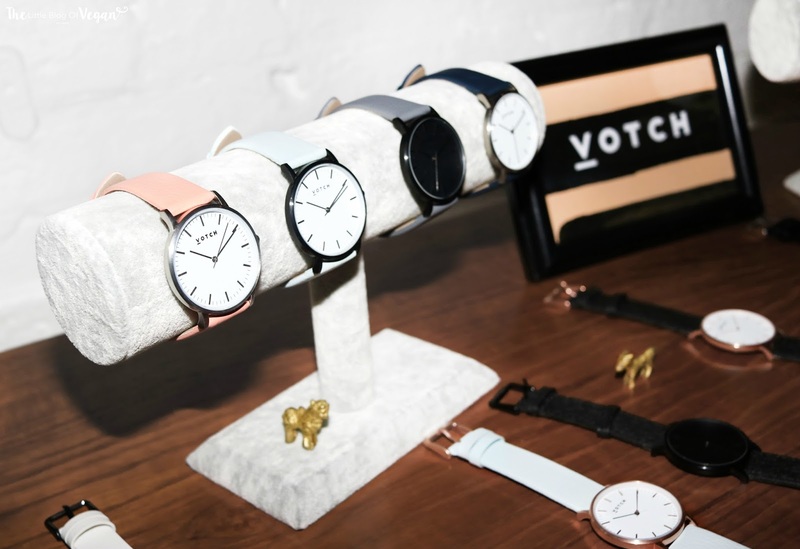 If you haven't heard of Votch Watches, where have you been?! They are the most stunning vegan watches ever. I am genuinely so proud of this company and the owners Laura, Simon and Rolo (their adorable doggie) are such lovely people who deserve much success and recognition. I was very kindly invited to the 1st birthday of their brand and it was amazing! The party was at Jones & Sons, a converted factory in London and is rustic and very photogenic. Marble tables are a bloggers dream! I arrived early which meant that I was able to chat with Laura and Simon, the owners, and of course Rolo their doggie. It's always so lovely to see a face behind the name of a company/brand. Rolo is the tiniest dog I have ever seen, I didn't want to leave him alone - too cute! 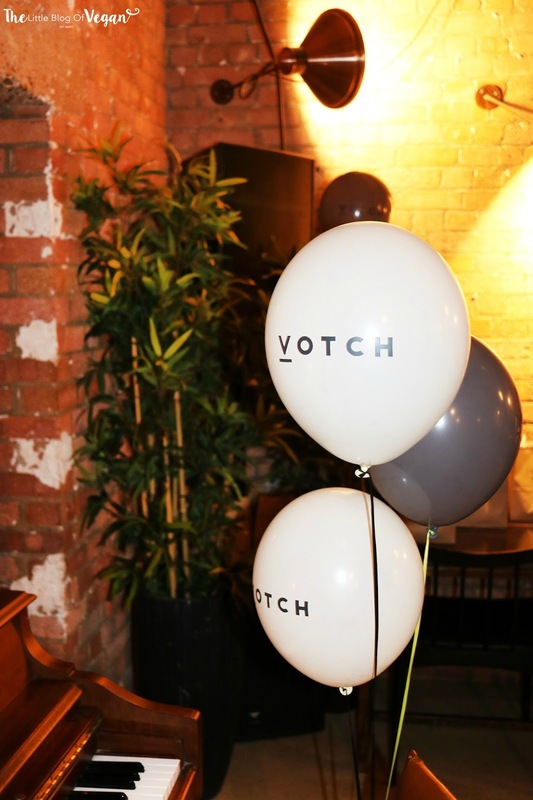 Laura explained to me a little bit about how Votch was started, and their passion for cruelty-free accessories which was really fascinating. At the party, there were some delicious snacks including Hippeas crisps which I am obsessed with and Oatly chocolate milk. Some of my favourite vegan snacks! 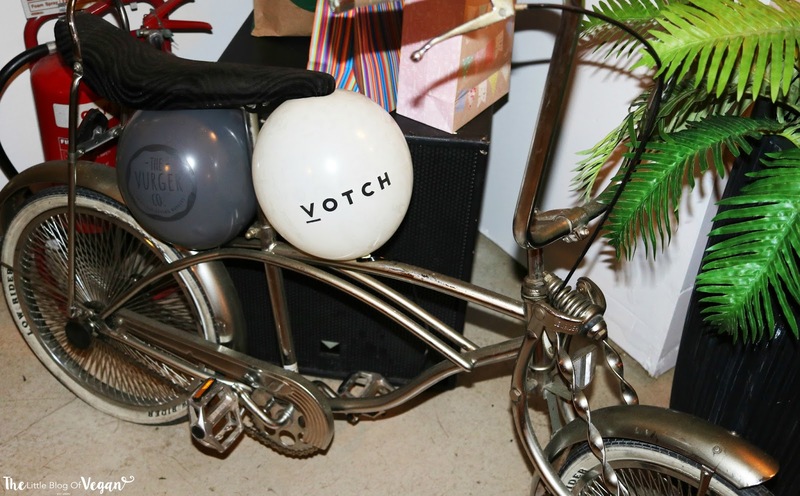 Votch & Vurger Co. collaborated for this event and Vurger offered burgers to all of the guests. Oh my goodness, the burger I had was one of the best vegan burgers I've ever eaten! It was divine, I wanted another. 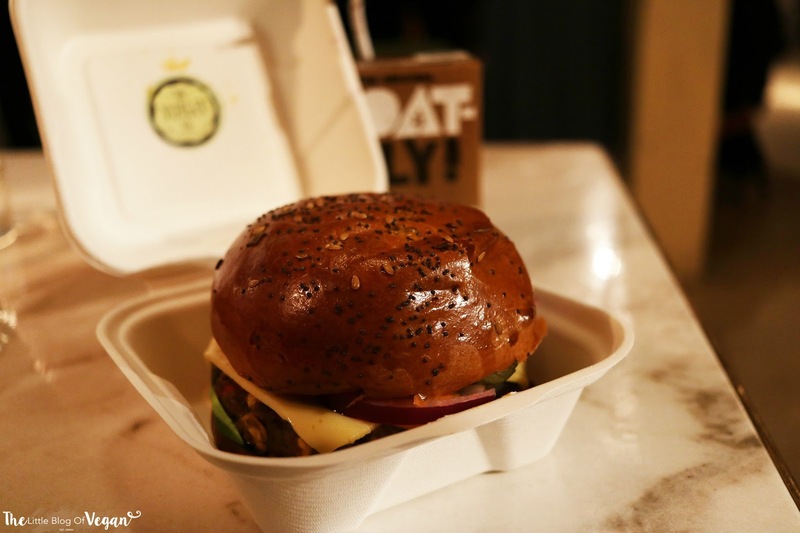 It was vegan and gluten-free, with a scrumptious bean burger, salad, cheese and the tastiest burger sauce!!! I need the recipe. Vurger Co. makes the most amazing vegan and plant based burgers. They also make sweet treats, sides, desserts. Who could resist a vegan treat?! There were these little cheesecake bites which I think were provided by Jones & Sons, I may have had 2 of as they were that delicious! The red ones were raspberry flavoured and the dark were coffee flavoured...YUM! 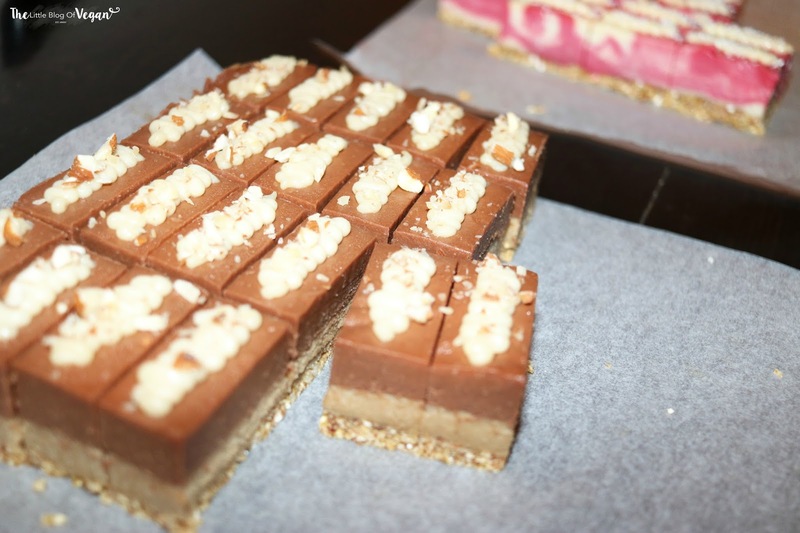 I can never resist raw desserts! I really enjoyed the night, spending time with fellow bloggers and vegans. Thankyou Laura & Simon for the invite! I want to say HUGE congratulations and happy birthday to Votch. I can't wait to follow their progress. I know they are going to continue to make a huge success of their business.